After farming for a few years and experiencing the trials and tribulations of real-world crop management, we began looking into ways to boost our crop production in cost effective, sustainable, low-tech ways. While exploring a variety of ideas, we learned about hydroponics: an approach which proved to be a solid addition to our farming activities. The more we looked into it, the more we realized what a powerful approach this could be for anyone raising food or market crops. 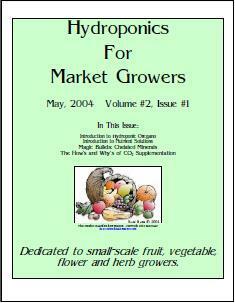 Yet most of the hydroponics magazines and books were written either for hobbyists or large-scale production. 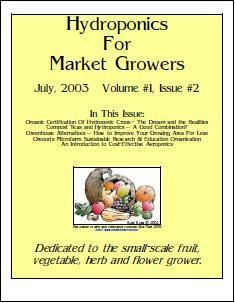 In 2003 we decided to fill that void, by launching a self-published hydroponics magazine called Hydroponics for Market Growers. 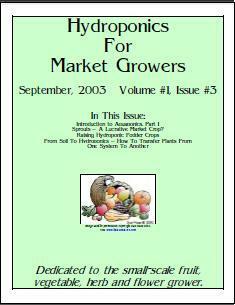 Our aim was to provide information about low-tech, cost-effective hydroponic methods for small-scale growers such as ourselves. It was fun to research, pleasantly challenging to write, and profoundly rewarding to hear the feedback. But it was exhausting work. And it was expensive work. We spent tens of thousands of dollars, along with untold hours, promoting and producing the magazine, without nearly that much coming back in from sales. After awhile, we just couldn't do it anymore. We finally made the decision in Summer 2004 to pull the plug. We could not publish the magazine and build the farm at the same time. It was a really hard decision, letting this creation of ours die on the vine, so to speak. But looking back, we still think it was the right decision. Yet the information we gathered and published is still valid, it's still important, and it could still help small scale growers achieve their self reliance, community-feeding goals. So we're bringing it back. 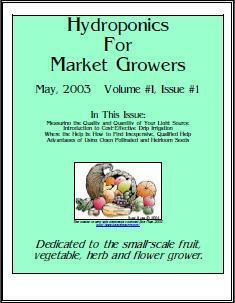 Our days publishing hydroponics magazines are probably over. 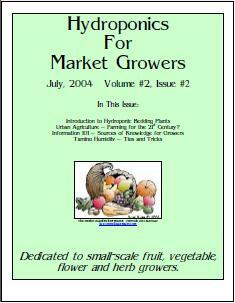 But we offer all our back issues of Hydroponics for Market Growers as back issues. Specifically, we're selling them online again as PDF files, which are easily downloaded, stored, printed out and disseminated. Print versions are no longer available. 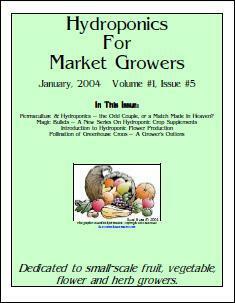 Each issue of Hydroponics for Market Growers is available as a PDF document, at the individual price of $4.99. 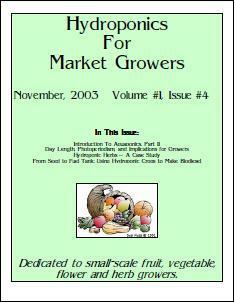 We invite you to scroll through the Tables of Contents for both Volume 1 and Volume 2, listed below. You may choose whichever issue(s) you are interested in, in any combination. Thank you in advance for your interest, and please contact us if you have any questions. May the information we gathered be of good use to you in your own farming endeavors. Article: Compost Teas and Hydroponics – A Good Combination? 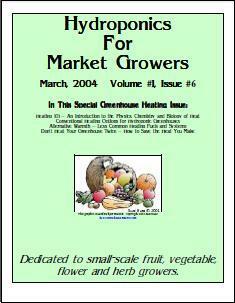 Sprouts - A Lucrative Market Crop? Permaculture & Hydroponics - The Odd Couple, or a Match Made In Heaven? Urban Agriculture: Farming for the 21st Century?